When I walked in the door last night everyone was playing Risk. 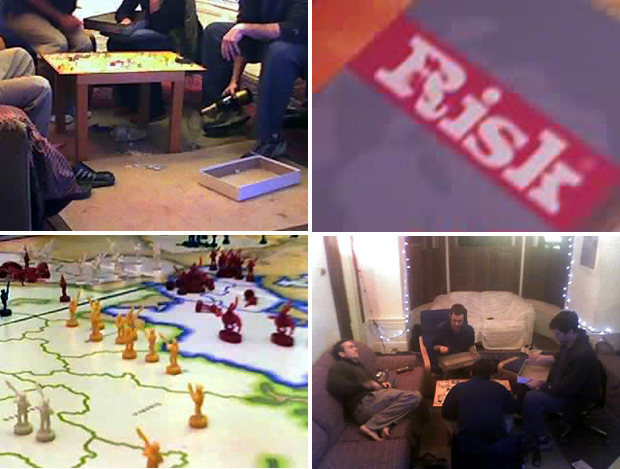 Marines always played Risk on the ship. I think that's a paradox or something. Either way Risk is very boring. They could make the game more exciting with metal figures, or sharper game pieces.